Managing rising costs is a critical part of growing a healthy business. Our program enables cost controls where they’re needed most: your healthcare. 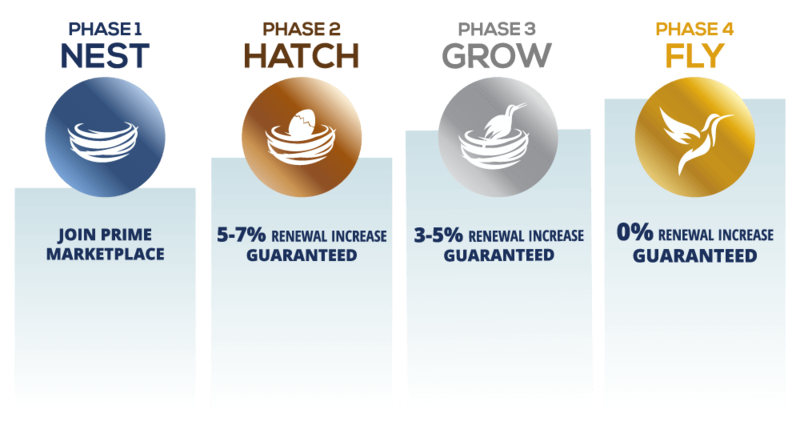 By pooling together small businesses, we’re able to give our members premium heathcare benefits at the lowest rates. Aliat has partnered with Cigna to deliver you not only 5 star benefits, but an innovative wellness platform to incentivize, educate and empower employers and employees, so they can take healthcare – and its costs – into their own hands. Together we can lower the cost of healthcare, one employee at a time. Aliat makes healthcare costs manageable with proven healthy business strategies. Wherever your company is on its wellness journey, we’ll help you fly. By participating in our FREEDOM to FLY program, your business can enjoy high quality healthcare, a reduced medical cost trend and a happier, healthier workplace. Gain access to our Freedom To Fly Guarantee, Advanced HR, Advanced Payroll, Compliance, 5 Star Benefits and our Employee Wellness program for $89 per employee per month. By pursuing a tobacco-free work environment, encouraging your employees to schedule annual check ups, and participating in our wellness program, you can control your healthcare costs. We’ll show you how.